The small hamlet of Bruma, in the council of Mesía, offers little in the way of services aside from the albergue for pilgrims and a drinks vending machine. 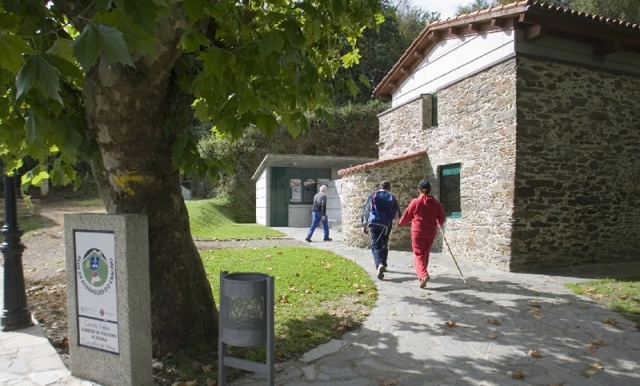 The albergue for pilgrims is situated opposite the former hospital and is the last public refuge before reaching Santiago. Given that this location is practically devoid of services pilgrims should go to the neighbouring location of Mesón do Vento (in the council of Ordes) to find bars, restaurants, transport, banks and chemists, situated close to the N-550 road. There is around a kilometre between both locations. If you are traveling on the Camino de Santiago or are planning to do so soon, you should know that the distance separating Bruma from Santiago de Compostela is 41 kilometers.